The biggest electronic music superstars we have ever seen, Daft Punk, has influenced a whole generation of people and entertained the world for a very long time. It’s incredible to see that many young superstar DJs hold them as idols and have been inspired by their music to venture into the dance music scene. It’s time to look at the Top 20 songs from these legends. Here we go. The groovy track came out in 2005 and has since managed to have an incredible grip on you. The consistency is incredible, and the emotions it exudes is quite moving, as you listen to it! Great start to our list, we must say. The 2001 release from the Discovery album, is one that has caught the attention of a large audience across the globe. With more than 4.2 million views on YouTube, the track is subtle but quite an engaging one! It was the perfect one for the beginning of a new millennium. Released on the same album as Voyager, the track also features some amazing vocals from Todd Edwards. Peaking on the US Billboard Dance Club Songs, the track entertained a whole lot of people and also received a few remixes. A really upbeat and creative expression of music is what we see in this track! With an unending flow of energy, the track serves as a great track for gaming too. With over a few million views on YouTube, it is one that is unique and addictive. This track from Random Access Memories was a global hit as soon as it was released. Featuring guitar works by Nile Rodgers and Paul Jackson, Jr., the track truly enthralls you right throughout. Peaking at #18 on the Billboard Hot Dance/ Electronic songs, it was popular in the clubs too! Along with its captivating animated music video, the single truly set your feet on fire, with its rich vibe and upbeat tempo. With more than 25 million views on YouTube, it is quite addictive to the ear. Why don’t you try it yourself? The 2005 release which was the title track of the album Human After All, is one that saw great reception across Europe. With many remixes and a peak position at #93 on the French charts, it remained immensely popular for a long time. The subtle and addictive track also houses the signature vocal styles from the artists along with the voice of Panda Bear. Laidback yet happening in its tempo and vibe, it casts a really unique vibe. The 12+ million streams on YouTube shows its mass appeal! Emotive in its texture, and husky vocals, the track casts a very intimate vibe. It also featured on the 2003 feature film Interstella 5555 as its love theme and quite rightly so. The worldwide smash-hit featuring Pharrell Williams also came from the Random Access Memories album. It peaked on many European charts and also featured at #49 on the UK Singles chart and topped the US Hot Dance Club Songs. Owing to the immense popularity of both the artists, the reach of this song was far and wide. With a total robotic display of vocals, the track is really captivating! With a music video also directed by Daft Punk, it gains a unique place among their music. The track featured on the UK Dance charts at #1 and also entered the UK Singles chart, peaking at #40. The 2001 release was also a global smash-hit which came out on the Discovery album. Breaking into almost all top European charts, it is a track that displays a lot of creativity and charm. You’ll surely love it! One may find themselves absolutely familiar with the guitar works on this track instantly. The immense popularity of it took it far and wide across the globe. Along with features on several top European charts, it also topped the UK Dance charts while peaking at #32 on the UK Singles chart. Taken from the 1995 album Homework, the track was one which boosted their popularity in the initial days. One can safely say that the Daft Punk era was just about sprouting at that time and what better song than this to mark the occasion! With a #1 position on US Dance Club Songs and a peak position of #7 on UK Singles, the track is one that will relate to people of all times! Another intimate production which went viral was Instant Crush, which exudes an intimate vibe and some heart-touching lyrics. With a music video that will be loved by all, it also broke into many charts including the UK Singles chart and the US Hot Dance/Electronic Songs at #20. Another gem from the legends is the hugely popular Digital Love. Coming out in 2001, the track is quite unique in its vibe and featured on the prominent European charts including a peak position of #14 on the UK Singles chart. The 1997 track is one that will always be remembered. Changing the dynamics of music production itself, Daft Punk’s Around The World featured on Blender’s 500 Greatest Songs Since You Were Born and MTV Dance’s The 100 Biggest 90’s Dance Anthems of All Time. It also featured at #5 on the UK Single chart while peaking both the UK and US Dance charts at #1. The immense reach of the track made it not only a commercial success but also one of the most influential productions at that time. Certified Gold in more than 6 countries, the track broke into all possible charts that you can name along with a #1 on UK and US Dance singles chart and #2 on the UK Singles chart! Who isn’t familiar with the incredibly addictive global hit, Harder, Better, Faster, Stronger? The Alive 2007 version of the song received a Grammy Award for the Best Dance Recording at the 51st Grammy Awards. It also peaked the UK Single chart at #25 and the US Dance Clubs Songs at #3. One of the most popular EDM songs of all time is Get Lucky. Once again, a Pharrell collaboration makes its way into this list, just showing the impact that music can have when these two artists come together! Apart from being a massive hit commercially, the track hit #1 on almost all charts in the world, from the most prominent to the lesser-known ones. This song will certainly live on for many generations to come! So. that was our list of the best 20 songs from the legends! 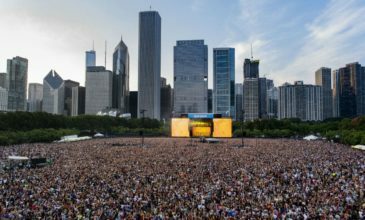 With music that can entertain people of all ages and tastes and skill that can inspire upcoming DJs, Daft Punk have been phenomenally impactful in the global dance music scene. Thanks for having entertained us for so long, Thomas and Guy! Hey Buddy!, I found this information for you: "Top 20 Daft Punk songs that will always be on our playlist". 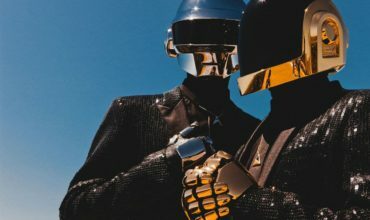 Here is the website link: https://themusicessentials.com/editorials/top-20-daft-punk-songs-playlist/. Thank you.